Folding knife is Hand crafted in Germany using the finest materials. Closed Length: 3 1/4". Clip and Razor blade are quality polished German Stainless Steel. Natural Stag handles with Nickel Silver Bolster and inlay shield. Excellent quality knife at a reasonable price point. Folding knife is Hand crafted in Germany using the finest materials. Closed Length: 3 1/4". Clip and Pen blade are quality polished German Stainless Steel. Natural Stag handles with Nickel Silver Bolster and inlay shield. Excellent quality knife at a reasonable price point. 3 1/4" closed length. German stainless clip and pen blades. Buffalo Horn handles with nickel silver bolster. Made in Germany. 3 5/8" closed length. 2 3/4" German stainless blade. 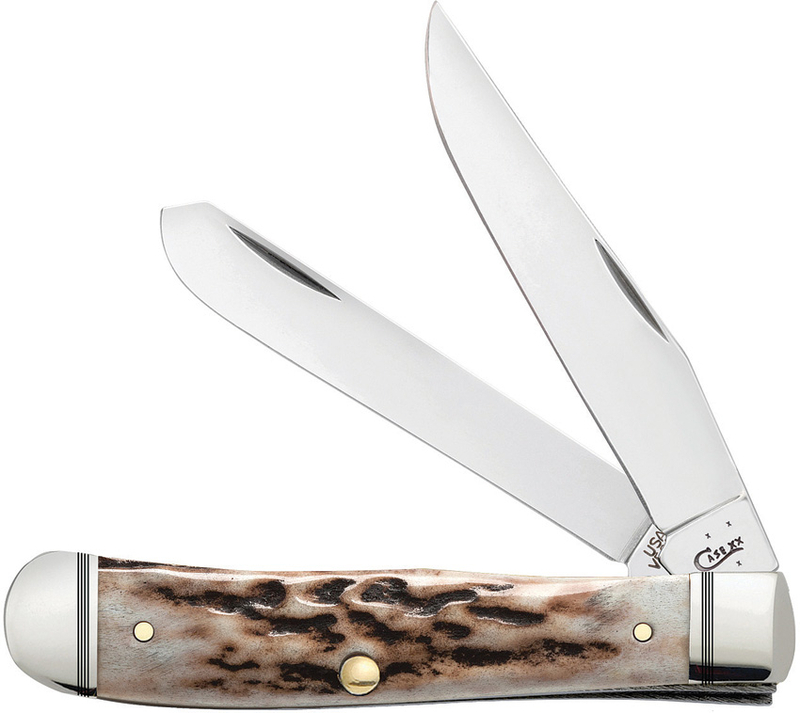 Stag antler handles with nickel silver inlay shield. Made in Germany. 10" overall length. 5" satin finish Vanadium Molybdenum full tang blade with Spine Jimping. Stag antler handle with lanyard hole. Leather sheath. Handcrafted in Spain. Lifetime Warranty. 12.5" overall length. 6.5" satin finish 440 stainless blade. Crown Stag antler handle. SS guard. Brown leather sheath. Lifetime Warranty. Handcrafted in Spain. 7.75" overall length. 3.5" satin finish full tang 440 stainless drop point blade. 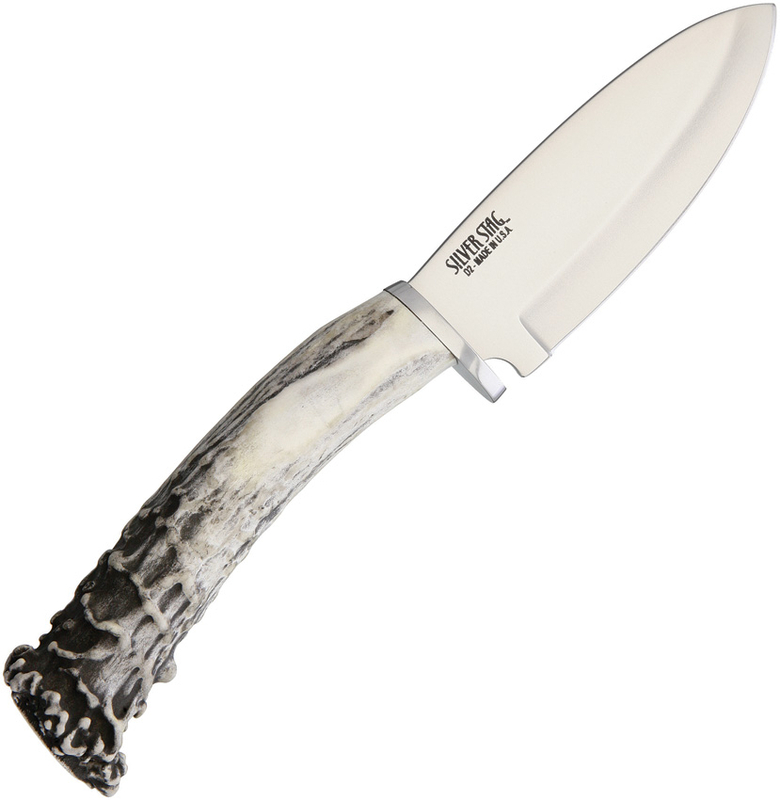 Stag antler handles with stainless bolster. Brownn leather sheath. Handcrafted in Spain. Lifetime Warranty. 4.5" closed length. 2.5" satin finish Molybdenum Vanadium blade with spine jimping. Stag Antler Slab handles with finger grooves. Handcrafted in Spain. Lifetime Warranty. 3.25" closed length. 2.5" satin finish Molybdenum Vanadium blade. Stag Antler Slab handles . Handcrafted in Spain. Lifetime Warranty. Excellent Quality. 4" closed length. 3" polished German stainless blade. Stag handles with brass bolsters and inlay shield. Made in Italy.